Fans are shifting from traditional TV to their mobile phones and their tablets. In fact, TV viewership was down 10% last year with fans taking preference to their smaller hand held devices. Once the Super Bowl is over and done, make sure that you are more accessible to smartphones and tablets. Even if you have not yet converted to a mobile-friendly website, make yourself easier to reach through other channels like Facebook and Twitter. The morning after the Super Bowl will have fans and followers glued to their phones looking for information, opinions and controversy. Regardless of where your business is located and where the majority of your customer base is, you should be as impartial as possible when it comes to the Super Bowl. Expand your reach by being congratulatory to the winners but being supportive of the team who loses, and weigh your favoritism based on where your demographics lie. You want to gain fans and followers from both sides, not just from one. 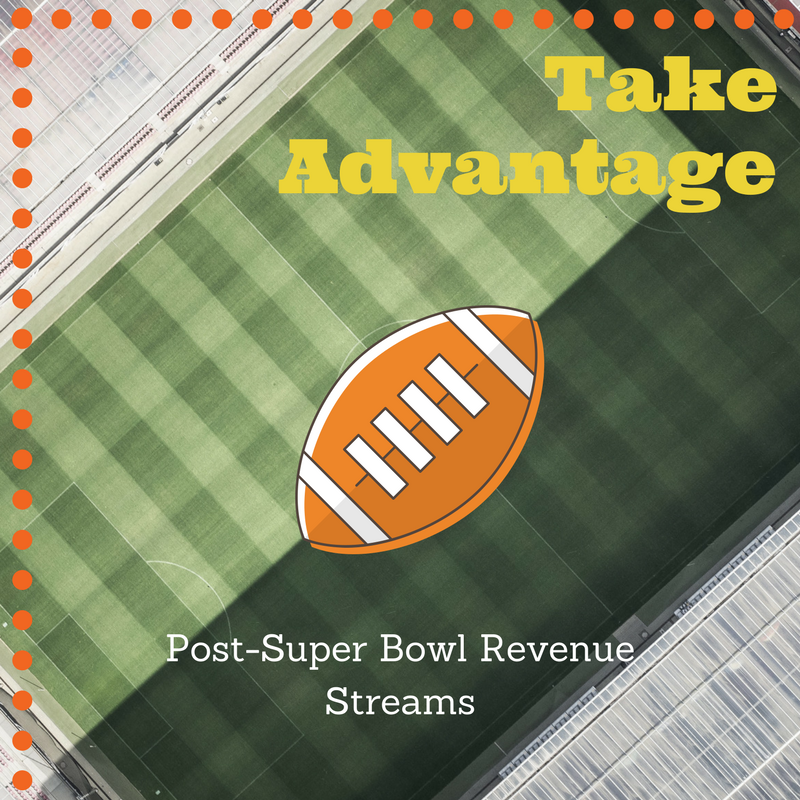 The key is to think strategically and out of the box when it comes to Super Bowl revenue streams and reaching out to who may very well be an untapped market. But if done right, you will see higher engagement, stronger customer connections and ultimately an increase in revenue at the end of the season. Learn more about how Small Screen Producer can help you at (281) 569-4370.